Ben Smith was an avid baseball player growing up and was introduced to CrossFit during his senior year in high school in 2008. As a self-instructed athlete, he has had eight appearances at the CrossFit Games, finishing on the podium four times and finally winning the title of Fittest Man on Earth in 2015. 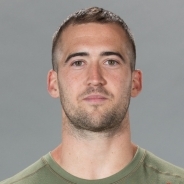 Smith has a degree in mechanical engineering from Old Dominion University and is the founder and co-owner of his affiliate, CrossFit Krypton, where he also serves as lead programmer and coach. His personal philosophy is that through hard work and dedication anything is possible. Smith sat down with Julie Foucher at the 2017 Reebok Athlete Summit to chat about his life and career as a CrossFit Games athlete. In this episode, they discuss Smith's sports background, how he found CrossFit, his affiliate, CrossFit Krypton, the CrossFit Games, what motivates him to train, a typical day in his life, what health means to him and more. Ben Smith: "Consistency is the Key"